Solutions from the Precise Modeling. Specializes in engineering, contruction Risk management, coordination, and creation of 3D detailed models for both design, analysis, and interference identification and resolution. Join your projects and verify reinforcement placement, PT ducts clearance etc., provide with realistic accuracy. Utilizing creativity and state-of-the-art 3D engineering technology. Have years of experience involved in large structural construction projects. 1. Specialized in structural Railroad and Highway clothoid and y=kx^3 cubic spline railroad transition curve. Use analysis programs: SAP2000, COSMOS to engineer detailed connections and construction demand analysis. 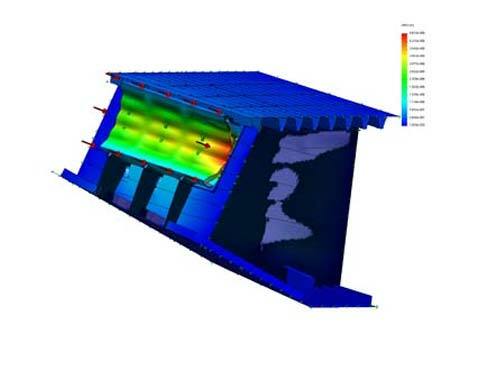 Capable of rapid modeling and performing analysis in fatique, large discplacements and nonlinear structural behavior, which allows us to provide great benefits to fast pace construction schedules. 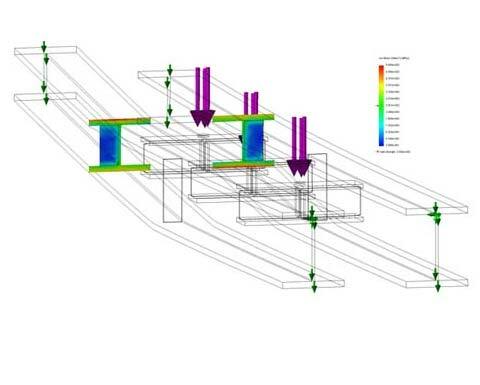 Able to apply in house calculation engines streamlined with AutoDesk and Solidworks tools, creating accurate geometry control and visual modeling for clash detection and presentation. This is essential for the best constructability and risk management. From preliminary designs to 3D virtual construction, our work is accurate and precise, with knowledge bridging the gap between design and construction. Our innovation stems from the traditional and the modern, insuring that your design is free from congestion and optimized for constructability. These images are extracted from the various analysis solutions which require rapid modeling for detail modeling and complex geometric shape. Solid modeling, the FEM structural components being created and examined under given load with section cuts for stress check. Meshing from Shell modeling. 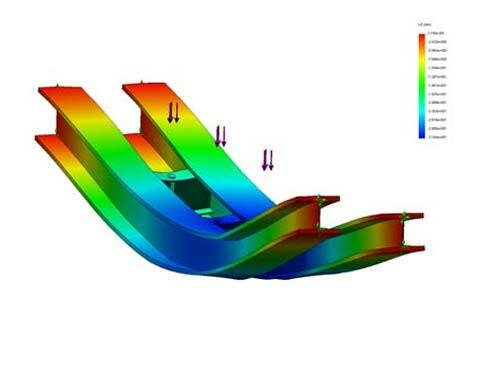 Stress and Displacement verification. For video demonstrations, click to the Video Demo page.